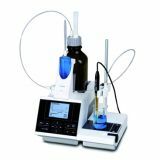 Beside the features which are mentioned in the general part of the titration family, the TitroLine® 7500 KF offers more performance and is the volumetric generalist for a wide range of use. 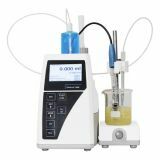 Titration curve live - The online display of the measurement curve, measurement drift and titration solvent consumption (TitroLine 7500 KF only) make accurate monitoring of the titration possible and one can determine any unwanted side reactions immediately. 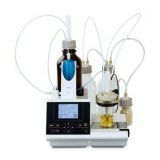 Titrated samples are simply extracted by pressing a button on the KF titration stand TM 235 (standard on TitroLine 7500 and KF and part of the modules 2 + 4 TitroLine 7500 KF trace). 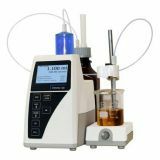 With another push on a button you add fresh solvent or anolyte. 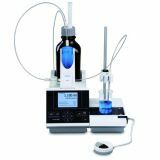 A built-in magnetic stirrer ensures a consistent dilution of solution and sample. 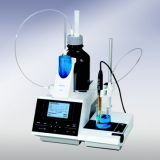 The titration vessels are sealed to thus avoid the ingress of moisture (low drift!). 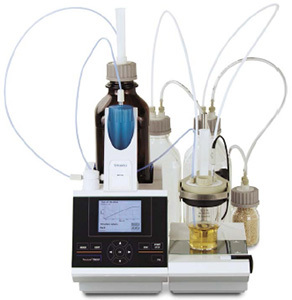 The removable glass vessel on the TitroLine 7500 KF comes in two sizes and is easy to clean. It is also available as thermostatable version. 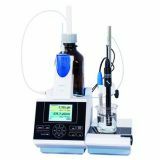 For the TitroLine 7500 KF trace you have the choice of two different vessels made of solid glass with three and fi ve openings. They have a very low drift.